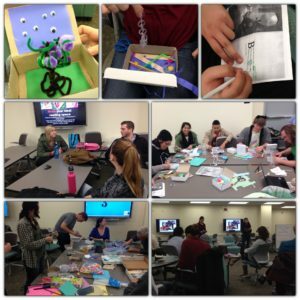 I’ve organized this class around a series of “make cycles,” which will allow us to focus on an aspect of writing and the teaching of writing in two week cycles. I will add the new make cycle usually on Friday evenings at the end of a cycle, so you can expect to see Make Cycle 2 posted on Friday, Sept 7 and then a new cycle shared every other Friday after that. They will appear in the drop down menu at the top of our course site under Make Cycles. Again, you can find the links in the drop down menu above and in the numbered list above. As I add new weeks to the drop down menu, I will archive the previous weeks’ cycles on this page.